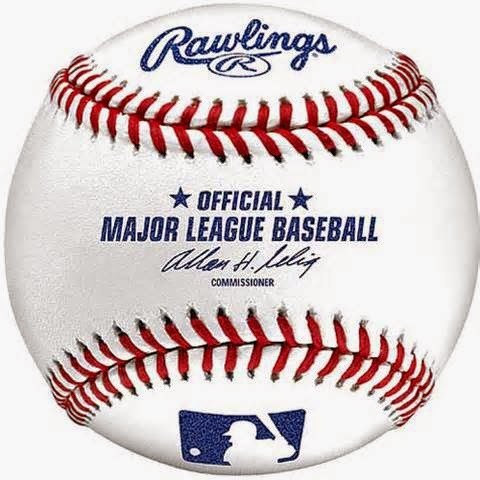 What's great about Major League Baseball is that no two games are the same, and more than in any other sport, no matter how many games a fan attends, they can see something new, something that they have never seen before in a major league baseball game. Also what is great about Major League Baseball is that there are certain plays that are so rare, one feels lucky when they are there to see it live at a major league baseball stadium. As a fan of attending hundreds of major league baseball games in St. Louis and Houston, I have been lucky to see many rare plays, that I am sure millions of people have never seen in person, like an inside the park home run, a triple play, a player hitting for the cycle [single, double, triple and home run], a no-hitter, etc. But despite the many games that I have attended there are also certainly rare plays that I have not seen, like a steal of home or a perfect game thrown by a pitcher. Hopefully, I will have many more games that I will be able to see in person where one day I might see those rare plays. Over the weekend, there was a play made that has never happened in the history of baseball. This was a first. Think about that, the first professional baseball team was in Cincinnati in 1869. Major League Baseball really became popular in the 1920's until today. So, in over its more than hundred year history, the play that occurred in Pittsburgh by the Pittsburgh Pirates against the St. Louis Cardinals had never been seen before in a Major League baseball park. The play that was a first. It was a 4-5-4 triple play. 4-5-4 is the scoring language in baseball that means the ball was hit to the second baseman to the third baseman and back to the second baseman. Yes, there have been many triples plays, even some unassisted triple plays in the history of the game, but there has never been a triple play where the ball is hit to the second baseman [he catches for first out], he throws to the third baseman [for the second out] and back to the second baseman for the third out. 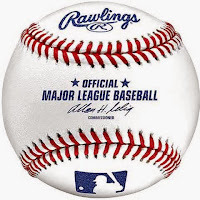 This from Major League Baseball: "The Pirates celebrated Mother's Day one day early with the mother of all pitchers' best friends -- the triple play -- but this time it was a historic one, the first 4-5-4 triple play ever seen in the Major Leagues. "With Cardinals on second and third and none out in the second inning of Saturday's 7-5 win at PNC Park, Pirates second baseman Neil Walker caught Yadier Molina's rising liner within feet of the second-base bag, left vacant by baserunner Jason Heyward. Quick thinking served Walker better than quick feet would have: Had he done the instinctive thing and stepped on second, the Bucs would not have made history. "Everything was in front of me. I could see how close the guy was to third, and that the guy on second wasn't trying too hard to make his way back," Walker said. "If I step on second, we don't get the guy on third." 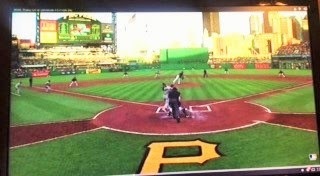 "So Walker instead pegged to third baseman Jung Ho Kang, who stepped on third to retire Johnny Peralta, then ... turned to sprint into the Pirates' dugout" [thinking mistakenly that was the third out]. But the players in the dugout got Jung Ho Kang's attention to throw the ball back to second to complete the triple play and end the inning...and make history! Put the following video in full screen for best view. That is why baseball is still America's great pastime and why I love major league baseball. Amazing, but triple plays always are even when so called "routine"